Burnley Manchester Road’s new station building has led to an estimated 12% increase in journeys to and from the station, according to research. The study by Eden Business Analysis, commissioned by Lancashire County Council, was conducted before the new ticket office received extended opening hours and before Burnley’s direct service to Manchester began. This means that the long-term impact is likely to be even greater still. Face-to-face interviews found that passengers now rate the station more highly against all 11 of the factors they were surveyed about, including ticket purchase facilities, information about delays, lighting and car parking. The findings demonstrate that station improvements can and do have a measurable positive impact, both on journey figures and passenger satisfaction. The research also helped to identify areas for further improvement to enable the station to go from strength to strength. 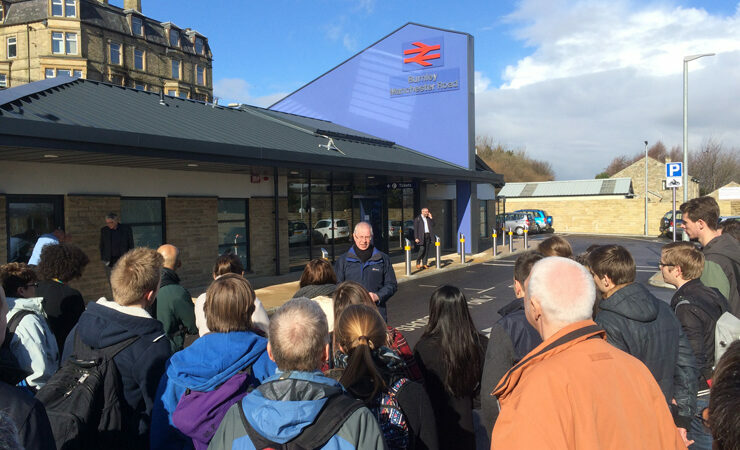 The station building was built with the help of funding from Citizens’ Rail as part of the EU Interreg IVB NWE programme, in order to transform the town’s busiest station and aid Burnley’s economic regeneration.